To a great extent, living organisms control the flows of matter and energy through the planet, and the study of their interactions is the goal of ecology. While the roles or functions of multicellular organisms, such as trees or animals, are known or can be predicted from their taxonomy, this is not always possible in the case of microbes. Which are the attributes that best characterize the microbial communities that inhabit ecosystems and the ecological roles they perform? Researchers Salvador Ramirez-Flandes and Osvaldo Ulloa from Universidad de Concepcion (UdeC), together with Bernardo Gonzalez-Ojeda from Universidad Adolfo Ibanez (UAI), answered this question in a recent article published in the Proceedings of the National Academy of Sciences. Through the analysis of a massive amount of data on environmental microbial DNA from diverse ecosystems, they demonstrated that the best attributes for the characterization of global microbial communities are the genes encoding oxidoreductases —enzymes that catalyze biological electron transfer reactions, known as redox (reduction-oxidation) reactions. These energetically favorable reactions are the basis for the life of all known living organisms on Earth, and they give rise to most biogeochemical cycles. 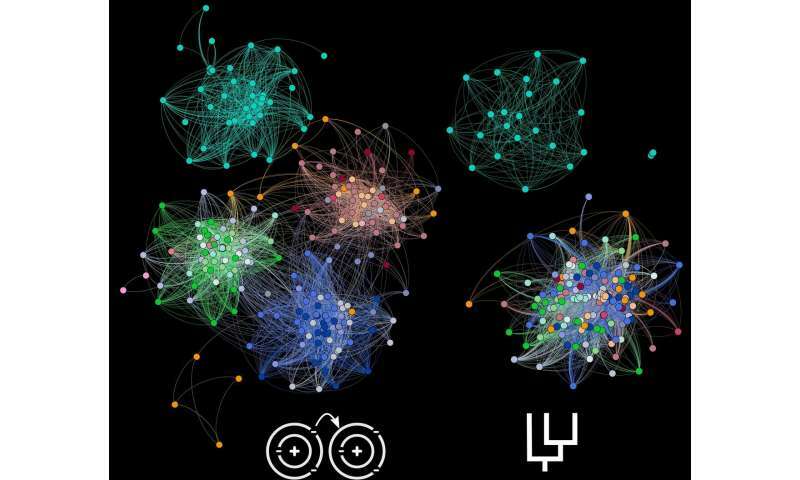 Biological communities are commonly described as assemblages of species, whose ecological roles are known or predictable from their observable morphology. In microbial ecology, however, such a taxonomic approach is hindered by the limited knowledge of the functions of most microorganisms, which also often share their genetic material through a process called horizontal gene transfer. To tackle these problems, some microbial ecologists have used culture-independent genetic approaches to study the whole pool of functional genes at the community level. However, this approach requires dealing with gene categories not necessarily related to the ecology of the organisms, such as functions associated with DNA replication or cellular division. Salvador Ramirez-Flandes, a researcher at Departamento de Oceanografia and Instituto Milenio de Oceanografia (IMO) at UdeC, Ph.D. student at UAI, and principal author of this article says, "In recent years, the trend toward the use of functional genetic traits has grown in microbial ecology (as an alternative to the taxonomic approach). However, there were no compelling arguments for selecting one particular gene category over others in a global context. In this study, we demonstrated that genes encoding oxidoreductases characterize the microbial communities better than other categories of genes. Furthermore, with this approach, the role of microbial communities of the different ecosystems in biogeochemical cycles becomes readily apparent." In the future, the results of this study should allow a better assessment and evaluation of ecosystem services from different environments of our planet. This improved diagnostic of ecosystems should be possible by focusing directly on the diversity of redox functions encoded in the metagenomes of microbial communities, rather than on their taxonomic structures. Thus, this approach should help in developing better management and conservation policies that effectively include not only iconic species, such as polar bears, but also microorganisms. "After all, microorganisms drive planetary physiology and allow animal species like us, so-called higher organisms, to exist," says Osvaldo Ulloa, professor of oceanography at UdeC, IMO director, and co-author of the article.